Geneva – Russia and Qatar could lose the right to host the 2018 and 2022 Soccer World Cups if evidence is found of corruption in the bidding process, a FIFA official was quoted as saying on Sunday. The comments by the head of FIFA’s auditing and compliance committee came as bribery claims mounted against disgraced former FIFA vice president Jack Warner, the man at the heart of the scandal engulfing football’s world body. “If evidence exists that Qatar and Russia received the (World Cup) awards only thanks to bribes, then the awards could be annulled,” Domenico Scala told the Swiss newspaper Sonntagszeitung. He said however that “this evidence has not been provided” so far. His comments are the first by a senior FIFA official to even open up the possibility of either Russia or Qatar being stripped of the right to host the football extravaganza. Swiss judicial authorities are already probing the awarding of the 2018 and 2022 World Cups to Russia and Qatar as part of a far-reaching corruption scandal that has also raised questions about the 2010 event in South Africa. Around 14 current or former FIFA officials and sports marketing executives are also accused by US prosecutors of taking part in a sweeping kickbacks scheme going back 20 years involving a total of $150 million in bribes. The revelations have thrown the world of football into turmoil and led to the resignation of long-serving FIFA president Sepp Blatter last week, just four days after his re-election for a fifth successive term. Blatter’s replacement will not be chosen for months, but Freddy Rumo, a former vice president of European football’s governing body UEFA, has said that changing FIFA presidents will not root out graft at the organisation. “The corruption, in my opinion, has nothing to do with Blatter’s person,” he told Swiss public broadcaster RTS. Although Blatter has not been charged and has denied any wrongdoing, allegations are swirling around his one-time right-hand man Warner. Accusations surfaced on Sunday that Warner sought a $7 million bribe from Egypt for votes in the bidding process for the 2010 World Cup, and that he pocketed a $10 million payment from South Africa – the eventual host. Warner was arrested on May 29 at the request of US authorities and is currently free on $400 000 bail pending a decision in his extradition case. The 72-year-old former schoolteacher and Trinidadian justice minister has denied all the allegations against him. The BBC claimed he personally used the $10 million payment to FIFA in 2008 which South Africa says was intended for football development for the African diaspora in the Caribbean, where Warner was the longtime football baron. The BBC, citing documents it has seen, said Warner laundered the money through a supermarket chain, made cash withdrawals, paid off his credit cards and took personal loans. In three transactions in 2008, funds totalling $10 million were moved from FIFA’s bank into an account of the Confederation of North, Central American and Caribbean Association Football (CONCACAF) which was controlled by Warner, then its president. According to a 2007 email published on Sunday by South Africa’s Sunday Times, Blatter and then South African president Thabo Mbeki discussed the $10 million. The email came from FIFA secretary general Jerome Valcke, who has previously said “I have nothing to blame myself for” over the payment. In another allegation, former Egyptian sports minister Aley Eddine Helal said Warner asked Egypt in 2004 for a $7-million bribe in exchange for seven votes to host the 2010 Cup. “Warner was the one who approached us from FIFA. He said he could guarantee us seven votes… He asked for $1 million for each vote,” claimed Helal, who has said Warner’s offer was rebuffed. Egypt, one of the countries dominating African football, received no votes in the 2004 FIFA ballot. Warner — still a powerful member of parliament in Trinidad and Tobago – has taken out paid advertisements in the Trinidadian media, published articles in local newspapers and held rallies with his Independent Liberal Party to defend himself. The country’s justice minister said on Sunday that Warner should be investigated locally, but added that he should nevertheless turn himself in to US authorities. FIFA has also been rocked by testimony from disgraced former North American football supremo Chuck Blazer that he and other FIFA executives agreed to accept bribes during bidding for both the 2010 Cup and the 1998 event hosted by France. Blazer’s testimony – released last week – is a key plank in the US probe against FIFA, which federal prosecutors are pursuing as a “Racketeering Influenced Corrupt Organisation”. South Africa on Sunday “categorically” denied it paid bribes to secure the World Cup – the first in Africa and one of Blatter’s main pledges when he took over as FIFA president in 1998. The former chief of France’s 1998 World Cup organising committee last week also denied any “irregularities” over their bid. Johannesburg – Sprinter Carina Horn is hell-bent on an all-out assault on SA’s dust-covered women’s 100m track record. The 26-year-old has made no secret that she is after Evette de Klerk’s record of 11.06 seconds she set in Germiston in April 1990. Horn boasts with a personal best of 11.17 which she posted in St Polten in Austria in June last year to get within 0.11 seconds of the South African record. Her effort last year was the fourth fastest on the all-time list, with Geraldine Pillay’s 11.07 in Durban in 2005 the closest effort to improving the record. Horn said her times during training indicated that she had it in her to break the record, but her focus was on being competitive at international meetings. 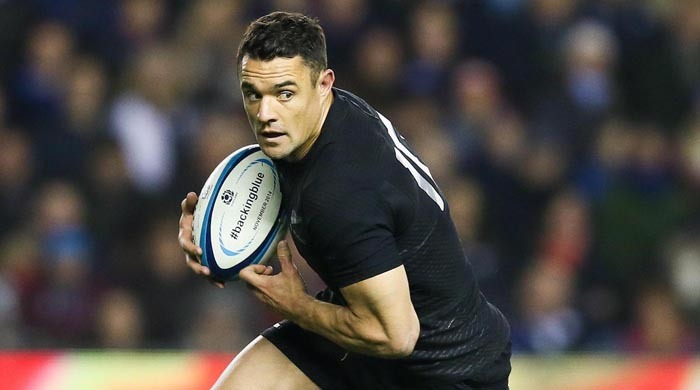 “The record is there in my times during training but when I go into a meeting it is not about the times because you have to focus on what you do,” Horn said. 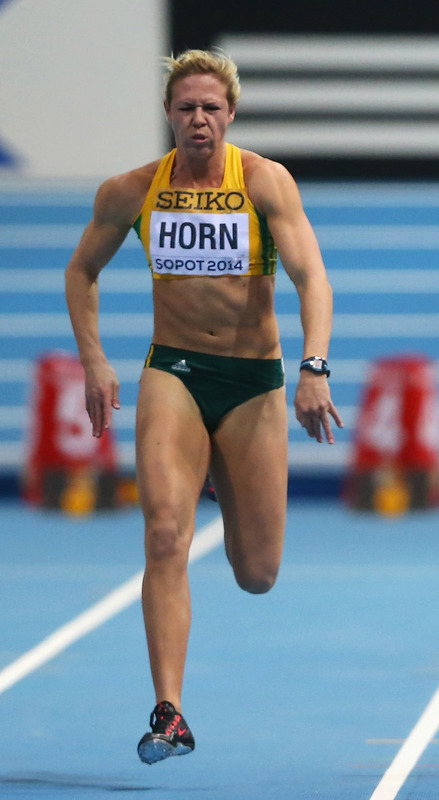 Horn has been in consistent good form in 2014 where she posted a times of 11.21 and 11.17 in European meetings. The Austrian-based athlete made her return to the South African Athletics Championships for the first time in three years where she won the national title in a time of 11.40 seconds running into a -2m/s headwind. Although her participation at the national championships was hyped up to be a possible record-breaking run, the Stellenbosch track has never been kind to sprinters. Before Horn left to train in Linz under the tutelage of Rainier Schopf in 2012, she had dabbled in the 200m and the 400m while her best in the 100m was a “pedestrian” time of 11.59 seconds. “Since we started training together (with Schopf) we’ve decided that I should focus on the 100m because there was no use being average in three events,” Horn said. “I just decided to do it (move to Austria), and I knew that I would have to make a few sacrifices but I decided to pursue my dream. She has since improved on her own national 60m record with times of 7.21 seconds and 7.20 seconds earlier this year, while threatening the 100m mark. Horn will be competing at the Rabat World Challenge Meeting on June 14 where she will take another stab at finally breaking the 25-year-old record. With the South African 200m record in the bag, sprinting sensation Anaso Jobodwana believes he can win a medal in one of the most competitive events at the IAAF World Championships in Beijing in August. 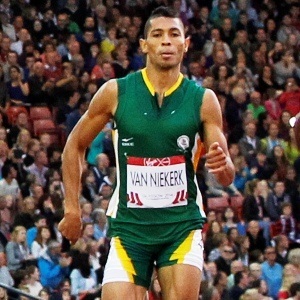 The 2012 London Olympics finalist blitzed to a new national record at the Cayman Invitational over the weekend in a time of 20.06 seconds breaking Morne Nagel’s old mark of 20.11 seconds he set in Germiston in April 2002. “My goals are to stay consistent, run sub-20 for the first time and also be a medal contender at world champs, that’s very hard but it’s possible with the right frame of mind and with the team behind me,” Jobodwana said from his base World Athletics Centre in Phoenix, Arizona. 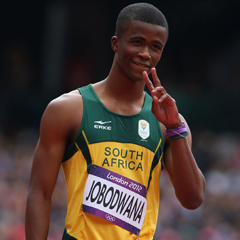 Jobodwana rose from relative obscurity to make it into the Olympic 200m final as a 20-year-old where the Jamaican trio of World Record holder Usain Bolt, Yohan Blake and Warren Weir took first, second and third place respectively. 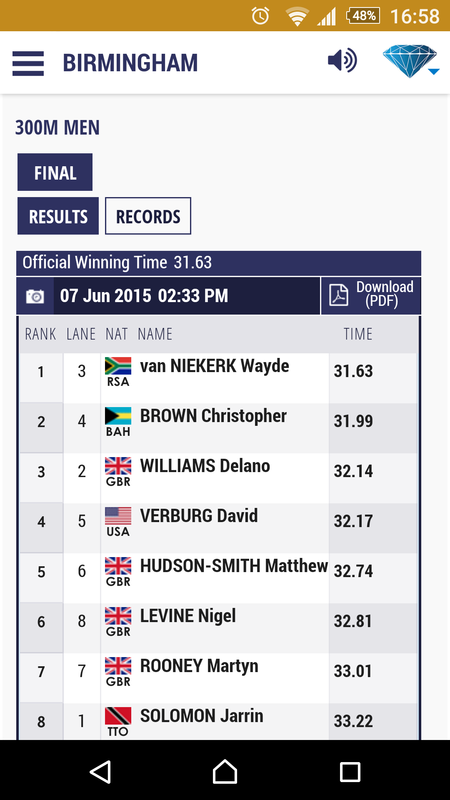 Finishing eighth, Jobodwana was strikingly calm after rubbing shoulders with the world’s fastest men and it was clear the sprinter from King William’s Town in the Eastern Cape had a bright future ahead of him. In 2013 he lived up to expectations when he bagged a rare short sprint double at the World Student Games in Kazan, Russia in the 100m and 200m. However, the next year proved to be an anti-climax when he missed most of the season including the Commonwealth Games thanks to a hernia operation. The setback only proved a brief hiatus from his record-breaking pursuit as he continued where he had left off when he posted a time of 19.87 seconds at the at the Texas Relays in the United States in March but the wind reading was 4 metres-per-second. “I think after the windy run I felt like it was possible to run fast this time of the season, my training has been geared that way as well,” Jobodwana said after dipping below 20 seconds. While he was delighted with his record-breaking run over the weekend, Jobodwana looked at the achievement in more practical terms. “It means that I’m putting together a good race plan and that my work in training is being translated onto the track which is the most important thing,” he said. Jobodwana’s coach Stuart McMillan told the World Athletics Centre’s website that he expected greater achievements from the star athlete. “He has yet to put anything like a complete race together, and I am looking forward to him running sub-20 seconds once he does,” McMillan said. At the Eugene Diamond League meeting on May 30 Jobodwana will go up against a top-notch field that includes United States sprinter Justin Gatlin, who clocked a world-leading 9.74 seconds in the 100 metres at the Doha Diamond League meeting on Friday. 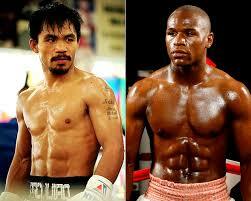 Las Vegas – Boxing fans across the country or at least their lawyers are calling the hyped-up fight between Manny Pacquiao and Floyd Mayweather a fraud. They want their money back, and then some. Some 32 class action lawsuits had been filed through on Monday alleging primarily the same thing: that Pacquiao’s pre-existing shoulder injury should have been disclosed to fans ahead of time. The lawsuits from several different states say fans may have decided not to pay $89 or $99 for the pay-per-view fight if they had known the fighter wasn’t in tip-top shape. Same goes for nightclubs and bars who say they spent thousands for the fight. Legal experts doubt the cases have a chance, saying any contractual obligation Pacquiao had was not directly with his fans or pay-per-view buyers.